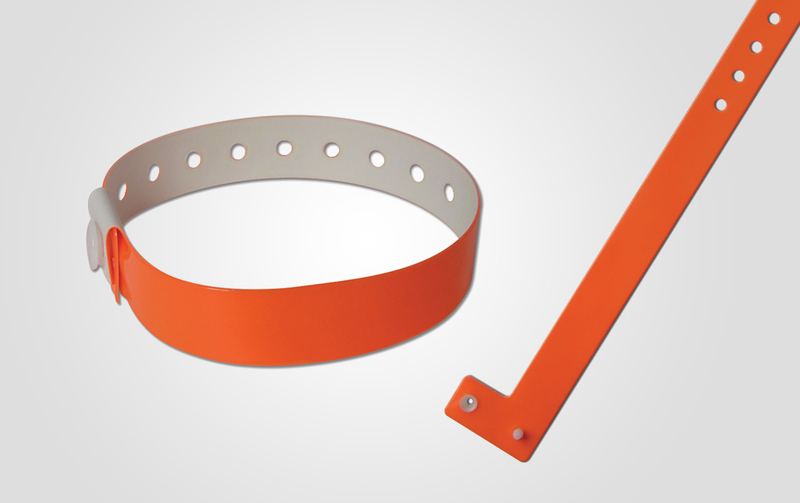 Personalised wristbands are being used very widely everywhere in the world and if safe to say that personalised wristbands are the most popular for the purpose of crowd control and visitor identification in events, concerts or festivals. There are many different types of personalised wristbands available for events with different time duration. In our wristband range we have products that are suitable for one or two day use up until seven and more day use. 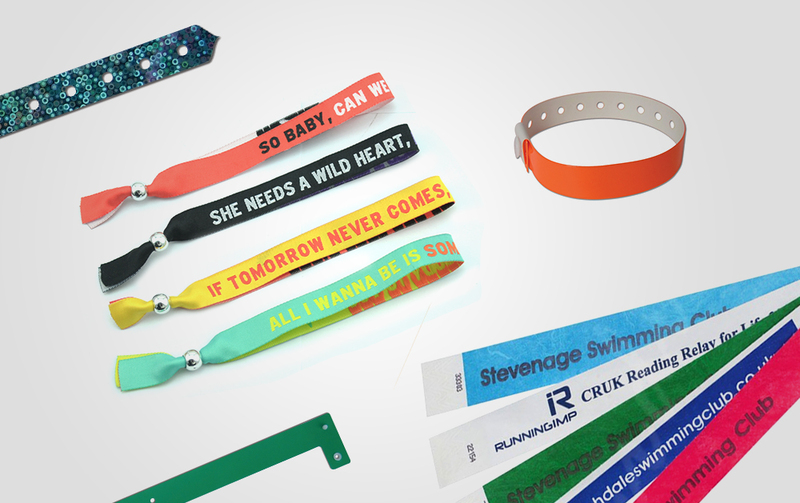 Personalised wristbands are very commonly used at public events, concerts, festivals, bars and nightclubs, corporate events, sports events, leisure parks and playgrounds to name a few. The main function of these personalised wristbands is to identify whether cost for service has been collected or to identify access to restricted areas. As a good example would be access to VIP area or artist access to back stage zone at a concert, festival where access is restricted to general public. 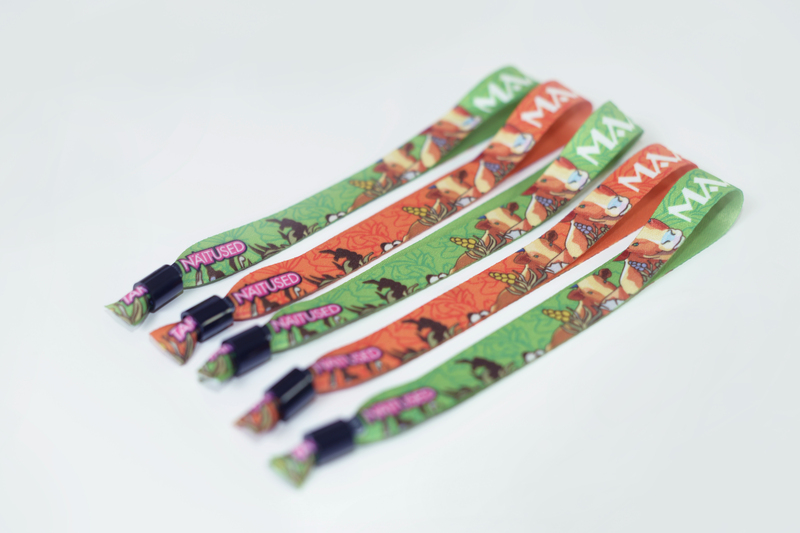 We offer wide range of different personalised wristband types from simple and cost effective solutions that are suitable for smaller events to more secure and longer lasting solutions for multiple day use. Depending of the type of wristband you choose, there are different level of security to make sure that the wristband is not transferrable from one wrist to another and event organizers can fulfil their business targets. In our product list we have tyvek wristbands - made out of material that reminds paper but is more durable and is tear resistant. We also have plastic wristbands, holographic wristbands, vinyl wristbands and fabric wristbands. Security and closures varies from one wristband to another, please visit the particular product page to find out more. The time has gone when choosing wristbands was only about picking the right colour. 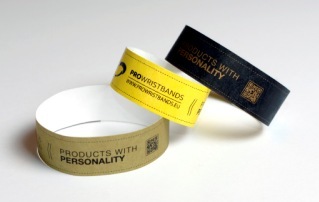 Nowadays, more and more often clients choose personalised wristbands as their solution for their business. For each type of wristband we offer high quality printing where your logo or text is placed on the wristband in your desired colour. Our absolute advantage is that all of our personalised wristbands are produced using only appropriate technology that is suited for this purpose. Times when you needed to worry about poor quality prints are long gone and if you don't believe us, why don't you get in touch and request free samples of our personalised wristbands to see it yourself? In the meantime, plain and single colour wristbands are still very popular choice among our clients which makes us really proud that we can offer a choice of wonderful colours to suit every taste. Please visit the specific product page, fill in the details and check the colours that we offer. Depending on the wristband you have chosen, quantity and complexity of your design, we will guarantee to deliver your order in a timeframe between 1-4 weeks. To ensure you receive your order on time, we have partnered with some of Europe's leading delivery companies - DPD and DHL. All our international deliveries are being handled by these two operators who have gained good reputation over the years and are known as reliable, fast and safe delivery solution. If you would like to find out more about delivery times for specific products, please visit the specific product page where more accurate information, including pricing will be available. We currently offer delivery to Lithuania, Estonia, Poland, Austria, Belgium, Czech, Denmark, Luxembourg, Netherlands, Slovakia, Finland, Germany, Sweden, France, UK, Slovenia, Croatia, Hungary, Greece, Bulgaria, Italy, Portugal, Spain, Ireland and Romania. Tyvek wristbands is the most popular solution for events that last one or two days. Our personalised tyvek wristbands are available in 19 bright colours, available plain or printed with your text or logo. Vinyl wristbands are produced from water resistant vinyl that is not only very durable but also very comfortable to wear for longer periods. We offer our personalised vinyl wristbands in more than 30 vibrant colours printed with your text or logo or plain. Fabric wristbands is the prime choice for festival and event organizers. Our personalised fabric wristbands are available with your design woven into the wristband itself ensuring very quality and long lasting finish.